So you need a roofer that can provide you with residential or commercial roofing in Hammond, LA? Call ECO Commercial Roofing today at (833) 200-0571 for the high-quality roofing services you require! We can assist you with any type of roofing service, and our team is dedicated to customer satisfaction at all times. Not only are we dependable Hammond roofers, we are also active members of our nearby communities. Our roofers are always glad to help our clients with any inquiries or worries about roof systems, and we supply a selection of solutions too. 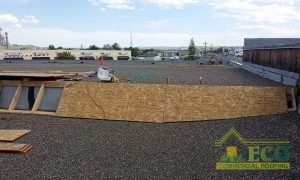 For expert, kind, and helpful contractors, you can always count on ECO Commercial Roofing! Your roofing plays a significant role in defending your property, so it is of the highest importance that you have a roofer you can rely on. Each of our contractors is trained to industry standards, and we utilize solely the highest quality of roofing materials. Since the kind of roof you install can alter the value of your building in years to come, we make sure to carry large selections of materials as well as styles for you to choose from. While style will play a major role in the roofing material you choose, be sure to think about the long-term value benefits, as well. Other factors to consider include your budget, along with the kind of structure that is requiring the roof. Luckily, our crew can give you tons of options. We supply reliable roofing repairs, roof replacements, and roofing installations as well. If you require assistance with a commercial project, an industrial one, or a residential one, we can serve you! Our commercial roofing services are designed to cater to business owners who have low-sloped or flat roof systems. Flat roofing can be a bit tricky, and without expert installation, you might be faced with leaks or ponding. Industrial roofing is similar to commercial roofing, but these roofs need specialized installation, along with specific material requirements if you want them to last long. You can even count on us for affordable home roofing services, designed to serve your home in a variety of ways. As roofers that specialize in roof restoration, we understand more than a few ways to work with roof coatings. By utilizing top quality products such as Conklin, we make sure that your roofing solution will endure for years to come. In order to deliver top of the line roofing in Hammond, LA, our team works hard to provide unbeatable customer satisfaction, with the help of detailed craftsmanship and experience. Call our professionals at (833) 200-0571 if you would like to discover more about our roof restorations, and the benefits of Conklin roof coatings! If your roof is nearing the end of its life, you can typically choose to replace it or to restore it, and we often advise restoration. Utilizing Conklin roof coatings, our team of experts can provide another decade to the life of your building’s roof! Save yourself time and money by choosing a quality roof restoration in place of a roof removal and installation. 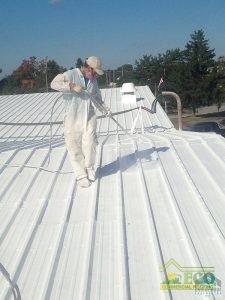 The primary technique of roof restoration relies on high quality Conklin roof coatings. Available in a selection of types and purposes, you can rely on our contractors to help you determine which option will work ideally for you. Various coatings provide different levels of adhesion, malleability, and water resistance. Thanks to the special design, your roof coating will likely be applied right over the previous roof system. To find out if your roof is eligible for a roof coating, call us today at (833) 200-0571! Acrylic Roofing Acrylic roofing is particularly flexible, and adjusts well to varying temperature changes. Elastomeric Roofing There are various elastomeric roof coatings to pick from, and they each offer fantastic protection. Our flat roof services are designed to apply to various different styles of commercial roofing, such as low-slope and flat roofs. The smartest way to prevent leaking and ponding is to correctly install the roof in the beginning, which our professionals can assist you with. If you are looking for a flat roofing solution that will last for decades, you’ve come to the right company. ECO Commercial Roofing is the company you can count on when you need reliable commercial or residential roofing services. We not only provide our expert roofing in Hammond, LA, but also in the surrounding areas. An investment in a stronger roof system is an investment in your business that you won’t regret! To discover how we can serve you best, give us a call at (833) 200-0571 and schedule your expert roofing assessment now!